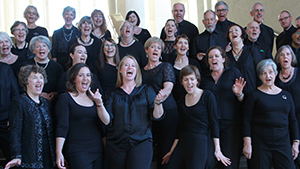 The ongoing CCS Chorus is an auditioned choir and will be holding several audition days each year. Thirty minute auditions are being held with groups of four to six people auditioning together. The audition will begin with a group warm-up song and the Hallelujah Chorus from Messiah. Following this the Audition Panel will individually check vocal range, sight-singing and listening (aural) skills. We’ve all been through auditions ourselves, so we understand that you will probably be feeling stressed, and may not sing as well in the audition as you do at home! We are not expecting perfection, but we will be listening to the potential of your voice and your current musical skills.